We are growing and therefore are looking for an additional person to join our innovative, passionate and humble team. 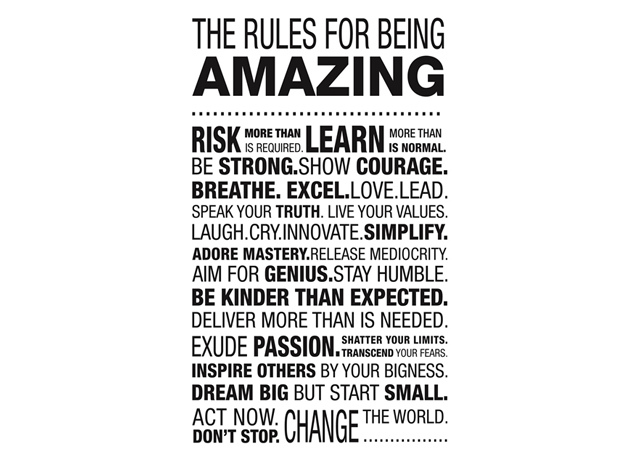 If the rules for being amazing sum you up then we would love to hear from you. Working hours: Monday – Friday. 09:00 – 17:30 (includes 30 minutes lunch break). Location: Dairy Farm, Pinkney Park, Wiltshire SN16 0NX. Zest Global Events (Zest) is an events management agency based in Wiltshire. Zest arranges and delivers business events in the UK and overseas including; meetings, training events, conferences, product launches, seminars, workshops, teambuilding events to name a few. Zest is a dynamic, boutique company which delivers successful high-quality events. We are looking to expand our team. Managing events from enquiry through to post-event invoice including; venue finding, event administration, event management, managing feedback. Negotiating pricing, terms, packages and allocations with venues and suppliers. Organising all aspects of the clients’ events including; venue, AV& Production, transport, teambuilding, catering, delegate registration, badging, staffing and any other requests. Communicating effectively with the client, venues and suppliers regarding the event arrangements. Attending client meetings, venue visits (in and out of office hours), client events. Keeping an orderly and organised record of all event details, using the Zest bookings management software, procedures and systems in place. Zest is looking for an experienced and enthusiastic person to join a small team. You must be flexible to adapt to the changing event requirements from clients on a daily basis. Only candidates with a minimum of 2 years experience within an event agency will be considered. Highly organised, professional, efficient, methodical, able to follow processes, strong, friendly, confident and a team player. If our job description excites you and reflects your experience to date please send a covering letter and CV to hello@zestglobalevents.co.uk.